With the launch of community site Facebook Studio, Facebook looks to open dialog with marketers and their agencies about strategies and tactics which lead to better Facebook pages for brands. Facebook Studio will include a Gallery of recent campaigns including those which were most liked, most shared and what page fans are saying. A Learning Lab will offer advertisers the tools they need to create campaigns on Facebook. A Spotlight section will allow for the searching of page work done by brands and agencies by region, category and other segmentations. An Agency Directory will allow for the rilling down through work by agency. And an Awards section will collect and award the best Facebook campaign/page work. 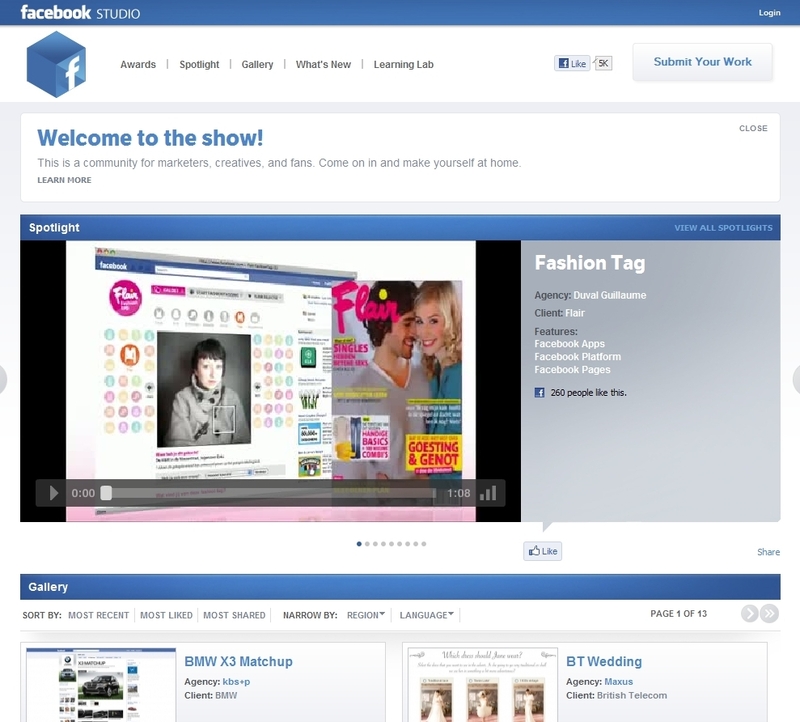 Will you Like Facebook Studio?